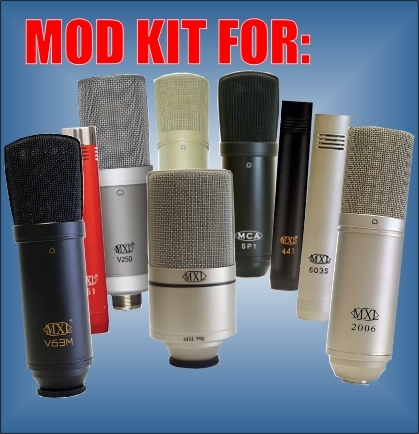 The 990 Mod Kit – This kit works for many small, medium, and large-format mics (I say “format” rather than “diaphragm”, because some medium and large-format mics actually use a small diaphragm capsule). All of the mics that are compatible with this kit use a copy of a classic Schoeps transformer-less circuit. 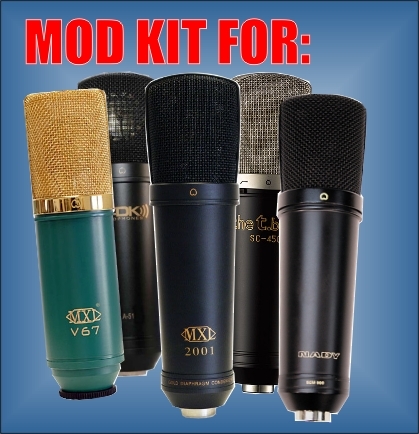 The 2001 Mod Kit – This kit works for several popular large-format mics. All of these mics use a copy of the classic Neumann U87 circuit–one of the most popular recording mics in the world.